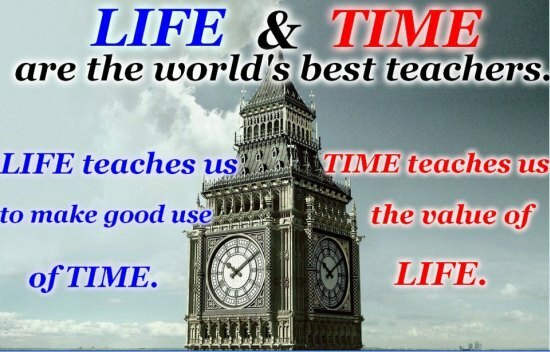 Life and time are the world’s best teachers. Life teaches us to make good use of time. Time teaches us the value of life.